Dog sledding on Annie Lake; Yukon. It's all smile while dog sledding on Annie Lake; Yukon. 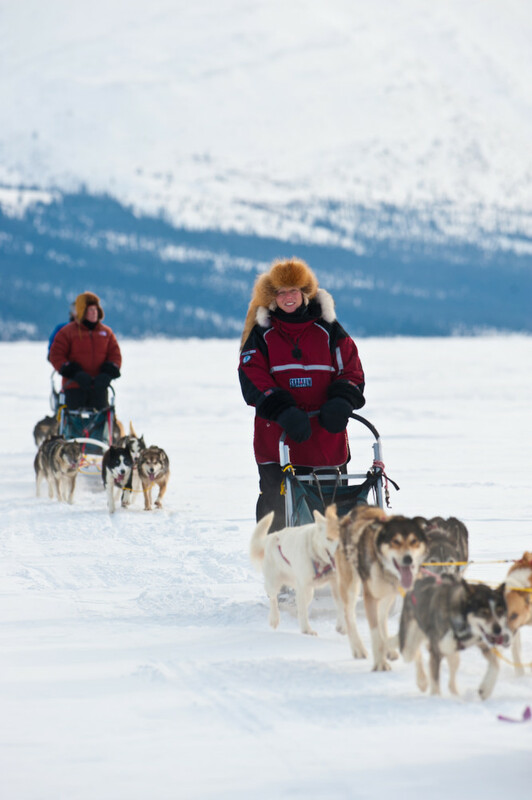 Glide across the frozen expanses of the Yukon powered by man’s best friend. 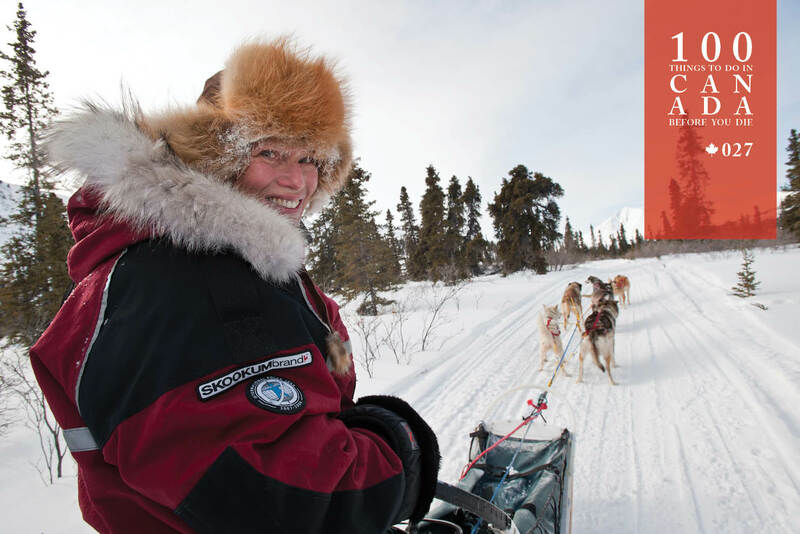 No visit to Canada is complete without experiencing the energetic thrill of an authentic ride with a sled dog team across a frozen Yukon lake. Bred to enjoy hurtling alongside their sled teammates across icy expanses, the excited barking of huskies anticipating their next outing will greet your ears before you even see them. 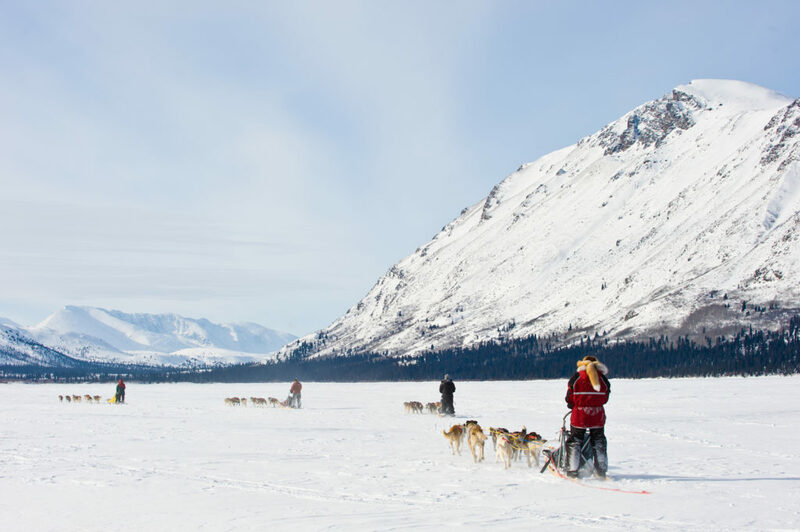 Typical tours involve riding either solo or duo, but in both cases you’ll be taught how to steer up to 16 dogs as they rocket full-tilt across one of the Yukon’s beautiful frozen lakes. With up to 80 centimetres of ice below you covered with a cool 20 centimetres of snow on top, you’ll feel exhilarated as you and your team hurtle from the expansive white bliss of a frozen lake to pull up at your log cabin where a roaring fire awaits. Mushing is best between November and March. Book a Yukon trip with Adventure World (adventureworld.com.au). Yukon is in the north-west corner of Canada, bordering Alaska. Connecting flights arrive here from Calgary, Edmonton and Vancouver. By bus you can travel the Alaskan highway on a Greyhound. It’s all smile while dog sledding on Annie Lake; Yukon.